Problem. 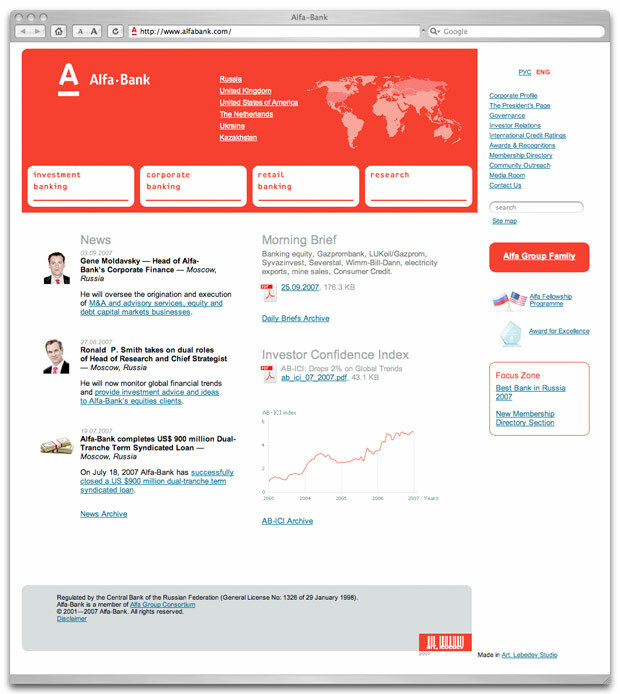 Redesign the site using new corporate identity..
Alfa-Bank is a leading privately owned bank in Russia founded in 1990. The fourth English version of the website falls in line with previous versions providing relevant information on the bank, its subsidiaries and branches, financial services and products. The English website was created for foreign investors and media.